"24-7 Moving is the best moving company "
24-7 Moving is the best moving company I've ever worked with. Fred, Carlos, and William were amazing. They got there right on time, worked diligently to get all of our stuff wrapped and moved to the truck, and put everything neatly in a storage unit. They were so professional, friendly, and extremely careful. They told me that they wanted our move to go easy and perfectly, and they totally exceeded our expectations! Also, the scheduling process was so quick and easy. Call them if you need great movers! "Excellent. I would give 10 stars if I could." They know their stuff! Polite, professional, courteous, "Yes Mam...Yes Sir", upbeat, worked together well with each other. We loved having them around and it felt like the good old days when you had a bunch of friends there to help load up everyone's cars...only we had experienced guys with a huge truck! I could go on and on about their excellent service. This is the second time in 9 years that we've used 24/7 and I will recommend them to anyone and everyone ANY day!! 24/7 Moving has over fifteen years of experience serving the Atlanta area as a highly reputable local moving company. Our five star reviews are the best testament to our history. Our US Department of Transportation (US DOT) number is 145 0224. We are also members of Georgia Movers Association (GMA). 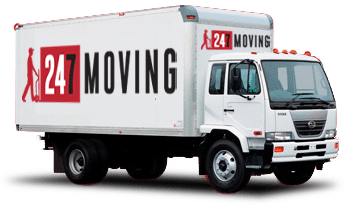 At 24/7 Moving and Delivery we understand that part of offering our clients high quality moving services involves providing valuable information on how to best prepare for your moving day. Our Atlanta moving company is constantly on the look out for useful moving tips and instructive moving videos that will help to make your moving process a smooth one. Here you can find useful information from how to solicit an accurate estimate to how to get ready for the arrival of our movers. If you have any questions about how to best prepare for your Atlanta moving day, please do not hesitate to contact us..